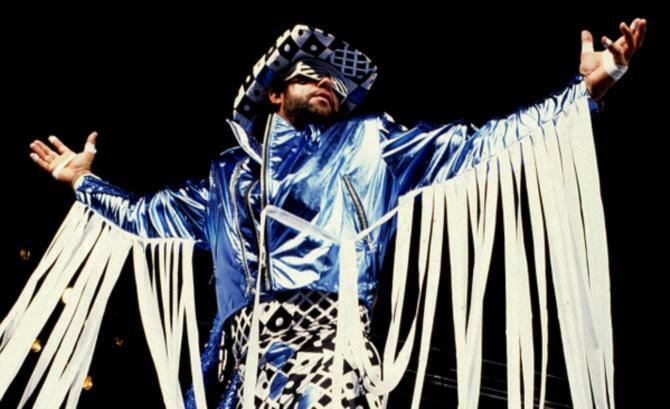 When I recently heard that Chris Jericho had never faced Macho Man Randy Savage during his career, the thought of a "dream match" instantly popped into my head. I'm not even sure where I heard this, but once I did I felt cheated as a fan. Despite the fact the two shared the same building on most Monday nights at WCW, they barely crossed paths. A match wasn't even a whisper. 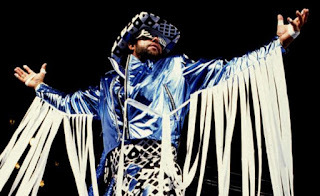 When you look back on Randy Savage's career, you tend to think more about the glory years of the WWE. Well, at least I do. At the time, I was a kid who was drinking the Hulk Hogan Kool Aid. 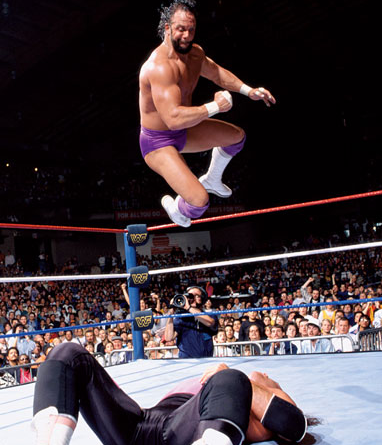 I didn't appreciate the Macho Man's ability in the ring. But as an adult, watching his matches over and over again, there's no denying that Savage is one of the most unique talents there's ever been in the business. 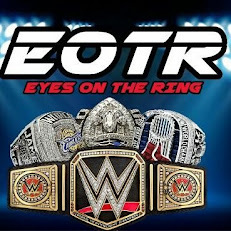 Unbridled energy in the ring, mixed with classic promos and the added bonus of Ms. Elizabeth at his side. He had it all. I'll be honest, when it came to the Monday Night Wars, the WWE had me from the introduction of the NWO. I just couldn't buy in. WWE had my undivided attention. I didn't get to see Chris Jericho perform in WCW, but I knew who he was. Friends who watched WCW TV at the time, always talked up just how entertaining he was. And when the "Countdown to the Millennium" clock began and the rumors started to flow, I couldn't wait to see what Y2J was all about. By the time the clock hit zero, it was one of the worst kept secrets in the business, but man oh man, did it steal the show. The Rock standing in the ring cutting a promo, only to be interrupted by the WWE's shiny new toy. I'll never forget where I was at the time. It has to be considered one of the greatest moments in the history of RAW, no matter what's happened since, or what may happen in the future. This moment will always stand the test of time. The first storyline to ever have me fully invested in the wrestling business was Savage/Steamboat. When Savage came off the top turnbuckle with a ring bell, driving it into Steamboat's throat I sat there, stunned, on my parents couch. As a child, I bought it all. I couldn't sleep that night. I just kept seeing visions of Steamboat clutching his throat. How could Savage be so heartless, I thought? This led to, arguably, the greatest match in the history of Wrestlemania, at WrestleMania III. 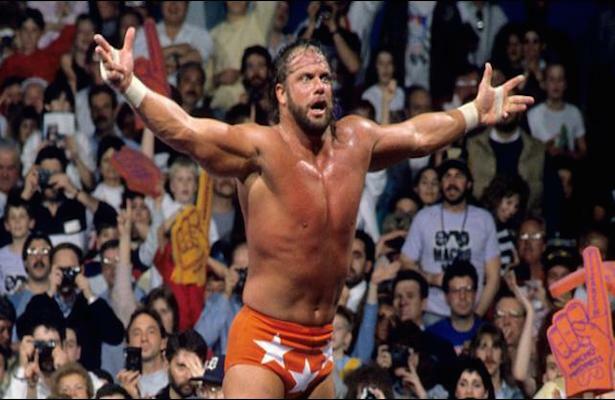 A match, that essentially influenced Chris Jericho to become a wrestler in the same ilk as Steamboat and Savage. 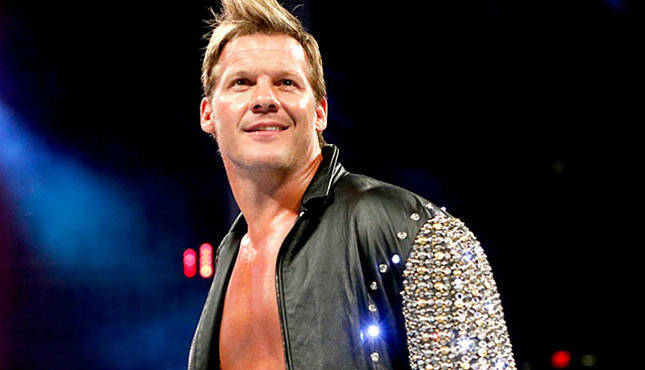 So, what comes of a feud between Jericho and Savage? I think the chemistry is perfect and it starts with the promos. What better way to kick it off than have Savage cutting an intense in-ring promo to the masses, before Jericho's music hits. Jericho works his way down the ramp, with his usual sly comments, referreing to Savage as "Randy Salvage" or "The Nacho Man," followed up with a little verbal jab about Ms. Elizabeth, causing Savage to lose his cool in typical Macho Man fashion. I want to take this match outside of this era. If it was today's product, Savage/Jericho would have matches every other week on WWE programming. I want the dream match to take place once, like the days of old. You build and build for weeks, months even. The match begins and both take turns hopping outside the ring, strolling around the ring, playing mind games. Once the match gets going the two trade offense in similar fashion to WrestleMania III. In a Jericho victory, you would see him kick out of an elbow drop. The two lay in the ring. Savage gets up first, climbs back up to the rope while Jericho slowly rises to his feet. Savage opts for the "double axe hammer" off the top, which Jericho turns into a Codebreaker, for the win. In a Savage victory- Jericho locks in the Walls of Jericho. Savage, with the pained look on his face, eventually muscles out as Jericho goes flying through the turnbuckles and into the ring post. Jericho stumbles back to the center of the ring, whi) e Savage hustles to the top turn buckle and delivers the double axe hammer. With Jericho now down, Savage returns to the top rope, camera flashes every where, as he delivers the elbow, and gets the 1-2-3.